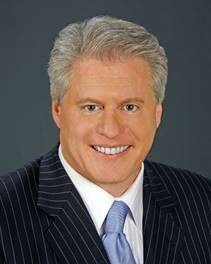 Wayne Allyn Root has been dubbed by the media as “The Capitalist Evangelist.” He is well known for both his politics and business careers. He is a former Presidential candidate, the 2008 Libertarian Vice Presidential nominee, national bestselling author, and a political commentator on Fox News Channel and hundreds of radio shows across the USA. Wayne’s columns and commentaries are read by millions at popular conservative web sites such as FoxNews.com, TheBlaze.com, TownHall.com, HumanEvents.com, DailyCaller.com, and PersonalLiberty.com. He has made over 5000 media appearances in the past 5 years. Wayne was the original Founder of the Las Vegas Chapter of the Republican Jewish Coalition. On the business side, Wayne is a high profile CEO, serial entrepreneur, small business champion, and proud defender of capitalism, entrepreneurship, and limited government. Wayne is also the TV producer of the #1 rated show on Travel Channel. As a business expert, he speaks at business conferences and conventions across the globe on the topics of branding, marketing, promotion, and media credibility. Wayne and Pat Boone serve as worldwide spokesman for Swiss America, one of the world’s largest precious metals companies. Wayne resides in Henderson, Nevada with his wife and 4 children. His home-schooled daughter Dakota will be graduating Harvard University in June of 2014. Niger Innis currently serves as the National Spokesman for the Congress of Racial Equality (CORE) and is the Chief Strategist for TheTeaParty.net. He works closely with the National Chairman and represents CORE across the United States and around the world. In addition to his role with CORE and TheTeaParty.net Mr. Innis serves in the following capacities: Co-Chairman of the Affordable Power Alliance (APA), a coalition of Latino and African American ministerial organizations; Senior Citizen Advocates, which fights against public policies that raise energy (and associated) costs; various Chambers of Commerce; Advisory Committee Project 21 for the National Center for Public Policy Research; Consultant to EEN247.com, Empowerment and Excellence cable channel; NRA Membership Committee and NRA lifetime member. In December 2012, Niger co-founded the New America organization with Julie Hereford, Victor Chaltiel, Carlo Maffat and Leo Bletnitsky. Mr. Innis served as campaign manager for the Roy Innis Mayoral Campaign during the 1993 New York City Democratic Party primary and helped to garner more than 25% of the vote. 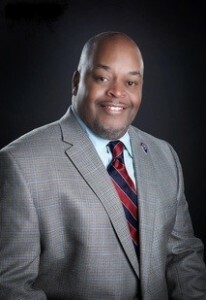 In 1997 Mr. Innis served as a delegate to the 19th American-German Young Leaders Conference and was later selected by senior US leaders to serve on the American Delegation to the American Swiss Foundation Young Leaders Conference in Zurich, Switzerland. Mr. Innis’ Civil Rights and political activities led to regular and various television and radio appearances around the world. He was hired as a Political & Social commentator for MSNBC and for NPR (National Public Radio). He has also been a guest on CNN, BBC, CBC, Al-Jeezera, Fox News Channel, ABC News, CBS News, et. Mr. Innis is currently a commentator for NBC News in his adopted home state of Nevada. 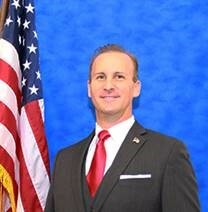 David McKeon is the Chairman of the Clark County Republican Party. 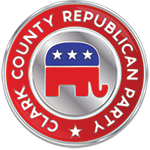 His job provides the primary vision and leadership to execute the strategic, political, and business objectives of the Clark County Republican Central Committee. Mr. McKeon is a Los Angeles native and began his studies at Brigham Young University. At the age of 16 he was an Eagle Scout. At age 19, Mr. McKeon went to Spain for two years and learned to speak Spanish fluently as a missionary. Upon his return to the U.S., he had an opportunity to live and study in Israel, Egypt and Jordan. When he returned to the States he was offered a job opportunity in Seoul, South Korea, where he was the Sales Director for C.B.M. Asia, a telecommunications company in South Korea and Hong Kong. He established relationships between the American and Korean companies and doubled C.B.M. Asia’s subscriber base in his first three months. He has traveled and worked in many other countries in South East Asia and Western Europe. In 2006 he was a consultant to A.O.B. Media in Pasadena, California. He co-produced the “Chinese Feeling” concert in the north plaza of Taiwan’s landmark building, Taipei 101. This concert was aired during the Chinese Mid-Autumn Moon festival and broadcast to millions of viewers in Greater China on the CCTV Network. The concert included some of Asia’s most popular and respected artists. In early 2007, Mr. McKeon was an essential asset in the production of A.O.B. Media’s “Fusion”, a two day concert that celebrated the Chinese New Year at Planet Hollywood in Las Vegas. The event was recorded, and then broadcast on Hunan TV in China. It was so successful, the New York Times did a story on it. As a result of the success of this concert, Mr. McKeon developed a working relationship with Mr. Jackie Chan, international martial arts movie star. See David McKeon and Jackie Chan Here . In early 2009, Mr. McKeon was asked by the Republican National Committee to develop a comprehensive mobile phone plan to increase fundraising and organize grassroots efforts to help Republicans win elections. Mr. McKeon is married, has two sons and lives in Las Vegas. 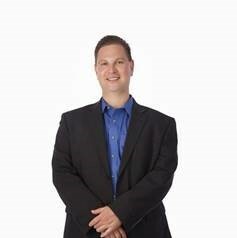 Leo is a technology and social media expert and currently runs Las Vegas Med I.T., a Computer Network Consulting Practice specializing in Health Care and Small/Medium Business Technology. Additionally, Leo is one of four Authorized Local Experts for Constant Contact in Southern Nevada.